A variety of inflammatory scoring systems and their prognostic value have been reported in many solid organ cancers. 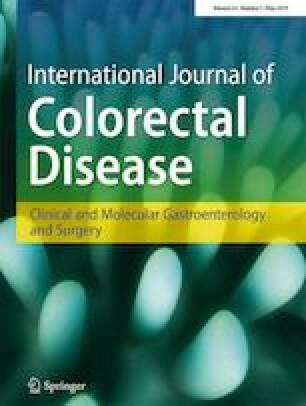 This study aimed to examine the association between the systemic and local inflammatory responses, and oncological outcomes in patients undergoing elective surgery for mismatch repair-deficient (dMMR) phenotype colorectal cancer (CRC). Consecutive patients undergoing resection for dMMR CRC were identified from a prospectively maintained database and compared with a cohort of patients with proficient mismatch repair system tumours. Systemic inflammatory response was assessed by the modified Glasgow prognostic score (mGPS), neutrophil–lymphocyte ratio (NLR), platelet–lymphocyte ratio, lymphocyte-monocyte ratio, C-reactive protein/albumin ratio, prognostic index and prognostic nutritional index. Local inflammatory response was defined by the presence of tumour infiltrating lymphocytes, tumour infiltrating neutrophils, plasma cells or macrophages at the invasive front. The inflammatory infiltrate was assessed using the Klintrup–Mäkinen (KM) score. On univariable analysis, preoperative NLR ≥ 5 (hazard ratio [HR] 2.5; 95% confidence interval [CI] 1.25–5.19; p = 0.007) and mGPS (HR 1.6; 95% CI 1.1–2.6; p = 0.03) predicted worse overall survival, but only NLR was associated with greater recurrence (HR 3.6; 95% CI 1.5–8.8; p = 0.004). Increased local inflammatory response, as measured by KM score (HR 0.31; 95% CI 0.1–0.7; p = 0.009) and the presence of macrophages in the peritumoral infiltrate (HR 0.17; 95% CI 0.07–0.3; p < 0.001), was associated with better outcomes. NLR was the only independent prognostic factor of overall and disease-free survival. Systemic inflammatory response predicts oncological outcomes in CRC patients, but only NLR has prognostic value in the dMMR group. The online version of this article ( https://doi.org/10.1007/s00384-019-03274-6) contains supplementary material, which is available to authorized users. This study was approved by St. Vincent’s University Hospital Research and Ethics Committee.